Joining a CSA is a commitment to supporting locally grown food and a local farmer in your area. You not only benefit from receiving weekly vegetable shares, but are also invited into a relationship with a farmer, community and the land. 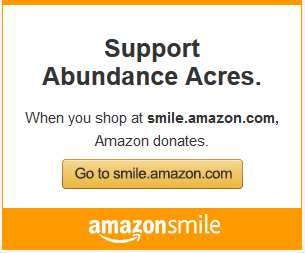 It is also a great way to support the ministry of Abundance Acres! How do I join the Abundance Acres CSA? Abundance Acres has a limited number of shares so sign up early! Also a good portion of shares are donated to locally through the “Share the Shares” project. If you would like to sponsor a share or part of a share let us know! Any donation or sponsorship is tax deductible. Please see the membership page for more information on joining Abundance Acres CSA. What is a share and what are your share options? A share is a set amount of vegetables that farm members receive on a weekly basis. One full share contains an average of $25 of produce each week. This will fluctuate as the season progresses. Below are pictures of weekly full shares from the 19 week season in 2015. We do not guarantee the same amount or types of produce depicted as each growing year will be different. If you will not be picking up your share one week for any reason, we ask that you arrange for a neighbor to pick up your share for you. This is a great way to bless others and let them experience eating fresh, local food. While CSA membership at Abundance Acres does not require its members to work, the farm always appreciates help and encourages members to come and be apart of growing food! Since one of the farm’s goals is education we always welcome visitors and helping hands. Come visit your growing vegetable while they are still rooted in the fields! Do you have pick-your-own options? Share members are invited to picking their own herbs and flowers at anytime. We offer pick-your-own to volunteers that come to the farm. Blueberries, strawberries, raspberries and flowers are all included in this when in season. What other products does Abundance Acres offer? Abundance Acres also sells farm fresh eggs for $3.00 a dozen. They are only available to regular customers so there is currently a waiting list. The farm also takes whole chicken and turkey meat orders. More information will be available as harvest dates approach. There are generally two harvests, one in mid summer and the other nearer to fall. In the future Abundance Acres hopes to network with other local farmers and offer their products to our members. As is the case with many things the weather can be variable. Some years may be great for growing vegetables. Another year we may have a flood. Potato beetles may wreak havoc on our potato plants. All of these unforeseen events can effect the quality and quantity of the food we produce. Part of entering into a relationship with a CSA allows members to accept the same risk and reality that farmers face when they sow that seed into an open field. The farmer is investing in something that is not guaranteed to succeed. So the answer is no, our shares are not guaranteed. However, we do guarantee that we will make every effort to fulfill your expectations and produce an abundance of quality produce. We always welcome your comments, suggestions and help as we seek to provide you and your family with delicious and nutritious food. Are you an organic or naturally certified farm? At this point we are not naturally certified or organic. That does not mean we use chemicals and unnatural practices. It simply means that we have decided not to pursue the expensive and time consuming processes of becoming certified. If enough members feel that becoming certified is important to them we may look into this in the future. Please visit our farm to learn more about our techniques and natural farming practices!